Fourth issue of Productive! 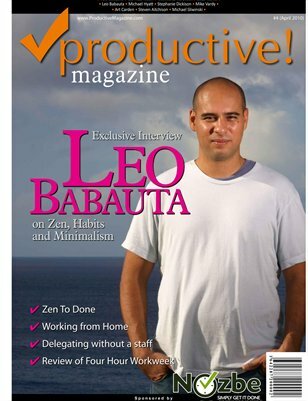 Magazine featuring an exclusive interview with top simplicity blogger Leo Babauta of Zen Habits fame. This issue's theme is working from home, efficient traveling and outsourcing tasks and projects. Enjoy and make sure to bookmark this one and share with your friends!